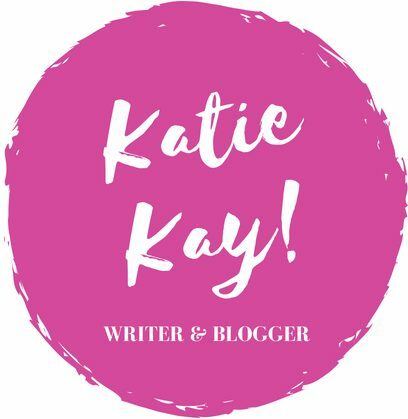 WHY WRITING IS GOOD FOR YOU (top 4 reasons) – Katie Kay! Hello, my wonderful readers! I wish you an incredible Friday and an even more incredible weekend. As I’m writing this, there is a stray thunderstorm booming above my house, but it is acting as the perfect backdrop to my introverted, homebody personality today. Since I haven’t shared anything in a while, I thought it would be perfect to share my favorite reasons for why writing is good for you–in terms of your health, emotional well-being, and overall satisfaction! To begin, I think it is important to remember that there are various types of writing, and various types of writers. There are novelists, who write books; poets, who pen poetry; journalists, who are supposed to report on facts; short story writers; essayists and diarists; and bloggers, probably like you! Therefore, let’s look at four reasons why writing is good for you. And if you aren’t a writer… Maybe this will convince you to try your hand at it! When I’m working on my daily quota, my friends and family sometimes barrel into my office (whether that be an actual office, roach-infested closet, or a table at Starbucks), and I often scream, “I’m working on my creative juices!” This is a ridiculous way of telling them that, for me, writing is about unleashing all the pent-up emotion in my soul… And converting those feelings into made-up realities. A common factor that weaves writers together is our shared belief that writing is therapeutic. Writing allows you to express yourself in a way like no other. You can write about whatever you want, whenever you want, wherever you want, and that is what makes it so unique. This may seem kindergarten, but it’s true! Your grammar and communication skills will skyrocket as you write consistently. Therefore, it becomes easier to communicate well with people across all spectrums both verbally and in writing after you commit to fleshing out your ideas. In both emotional intelligence and in hard sciences like mathematics, writing has been shown to help people communicate highly complex ideas more effectively. When I first started writing, I did not stick to any sort of goal schedule. It was more about my own enjoyment than anything, which is perfectly fine, especially if you are just writing for therapeutic reasons to flush out your emotions. However, as I got older, something miraculous happened. I started my infamous “Daily Quota” system. (When I say infamous, I only mean that my friends and family will tease me about, “Finish your quota for today?” and if I haven’t, it means I will be a bit of a crab.) So, what is the daily quota exactly? When I wrote my first book, I knew I started out at a thousand words per day. Using this logic, a 70,000 word novel would take me a little over two months to finish. Though it was hard at first, it taught me to stay on the path and complete something. Over time, however… Things became easy, like a stretched muscle. One thousand words got kicked up to two thousand, five hundred, and guess what? Since my muscle was so trained, so to speak, I can write two thousand, five hundred words in the same amount of time it once took me to write one thousand. Writing, more than any other sport or extracurricular activity, has taught me to stick to my goals. If you set the rules, you must go by them, and if you go by them, you won’t regret it. This is a huge one. Experience is key to doing anything well. For example, everyone starts at the bottom of the ladder, unless you’re royalty. What I mean to say is that a skilled craftsman is not skilled overnight. It takes years of practice before he is the boss of his own game. Personally, I’ve looked back at some of my novels from my teenage years, and I laugh to myself. I wrote my first book five years ago, and that girl had poor grammar skills, optimism beyond belief, and naivety galore. There were hints of acceptable prose, but the main thing is that it taught me to better my writing. Five years in the future, I can look back at my early novels and cringe, but remember how far I’ve come. I can only imagine what I will think five years from now. This can be the same for you, as well! If you are a seasoned writer, I challenge you to look at your old writings… And if you are a fresh-faced writer, you have to start somewhere. That is the beauty of growth… To see how far you’ve truly come! Though I’ve only semi-detailed four of my favorite reasons to write, there are countless examples. Here are some of my other favorites. Writing is more than just a person drinking a lot of coffee, typing at his or her keyboard. It revolves around thinking, living, and observing others. Though it can be therapeutic, it can also be disorienting, because writers can be very detail-oriented people, who obsess over anything they’ve written. That being said… Writing is something I would never be able to lose. It is the thing that makes me tick, the ability to hash out my opinions in a subtle way, and discover how I really view the world. Maybe for you… Writing would have a different value. But that is the world, and everything is different for different people, because we are… Individuals. There you have it… Writing is good for you (but not for your wrists, unfortunately). On a more personal note, I am expecting to publish The Wedding Party on September 1. This is the sequel to The Third Wheel, though it focuses in on the middle Flores sister, Miranda. For those of you who don’t know, I have just finished a trilogy based on three Argentine American sisters searching for love. It is cheesy, ridiculous, and summer fun. Besides this trilogy, I am still editing the Southern Gothic psychological thriller and am going to start querying about my horror/magical realism novel pretty soon. Lots to do! Enjoy your Friday, and consider writing! I like your openness and your honesty. I agree with the thoughts that you have put down, your article is a good read. Here is a wonderful post about the benefits of writing! Love this post by Katie Kay..
What you have written here is very true. The more you write the more you improve. I also look back on my first larger book and cringe a bit, but it was an important step in my learning process. Absolutely! It is a lot of fun to reminisce, but there is always room for improvement. Thank you!! I hope you enjoyed it! Ha! I see what you did there! Very punny.